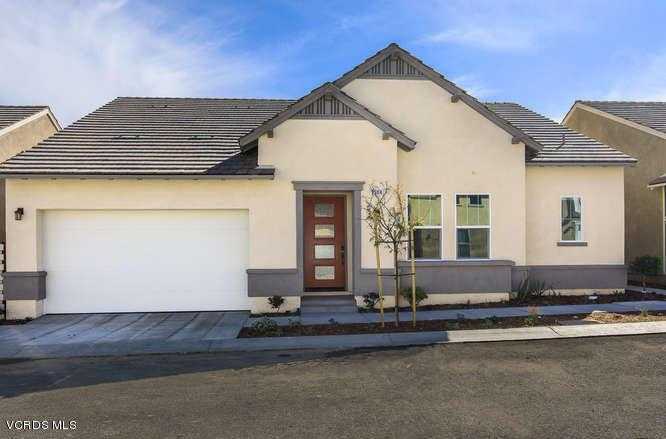 Welcome to this contemporary 2 bedroom, 2 bathroom, 1670 sqft single story home in Verano, an exclusive 55+ Active Adult community in prime Santa Clarita location. One of a kind design has bright white kitchen with marble like quartz countertops and dark hardware. The landscaped private backyard has a covered patio, string lights and grassy area for furry friends! Verano offers an award winning private clubhouse that includes pool, spa, bbq area, workout facility, wine storage, and endless options for community activities. Don’t miss this fantastic opportunity to own a brand-new move in ready home! Call for a private showing, or come by the Block Party on February 9th to take a tour, grab a bite, and meet members of the community. Welcome home!